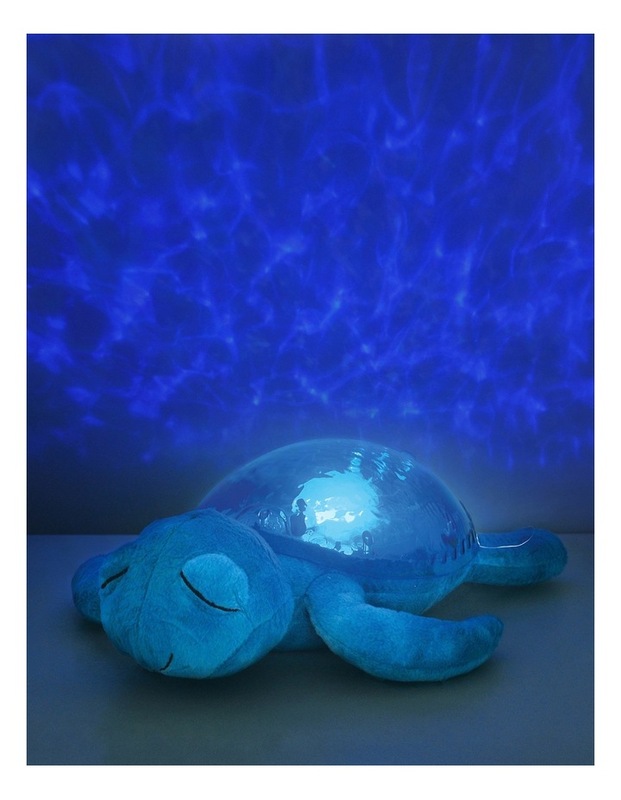 Tranquil Turtle will transform your child's room into a peaceful oasis combining both sight and sound features. Magical underwater light effect. Projects underwater effect with a gentle wave motion. 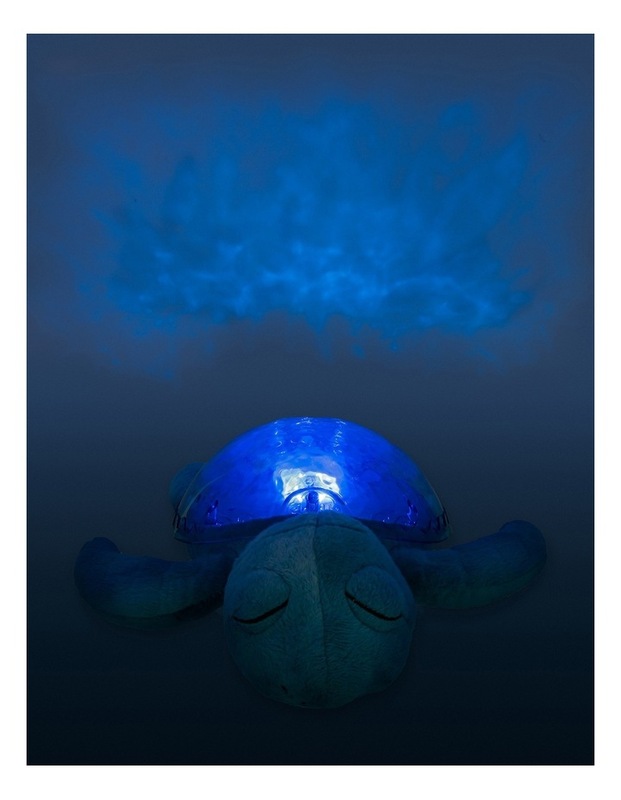 Shell glows in relaxing Aquamarine colour. 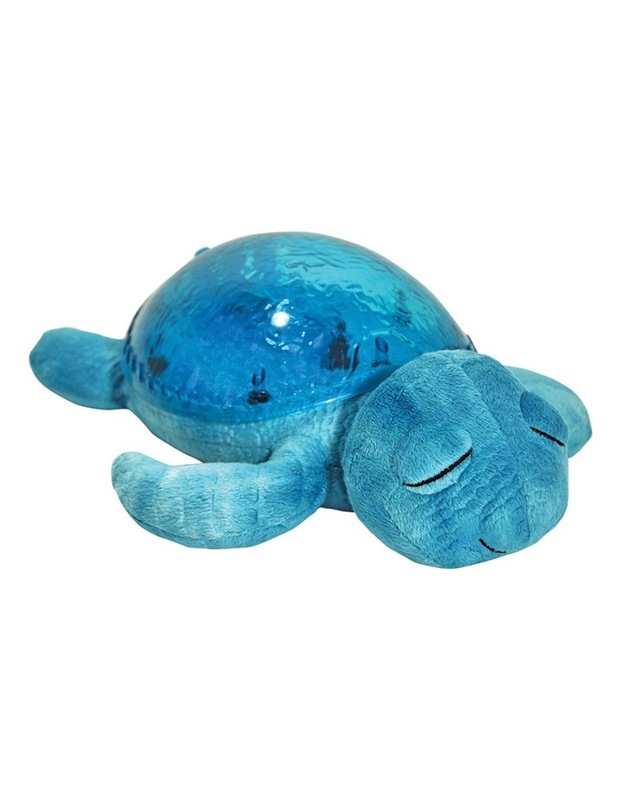 Plays 2 soothing sounds: Tranquil Melody and Ocean Waves. 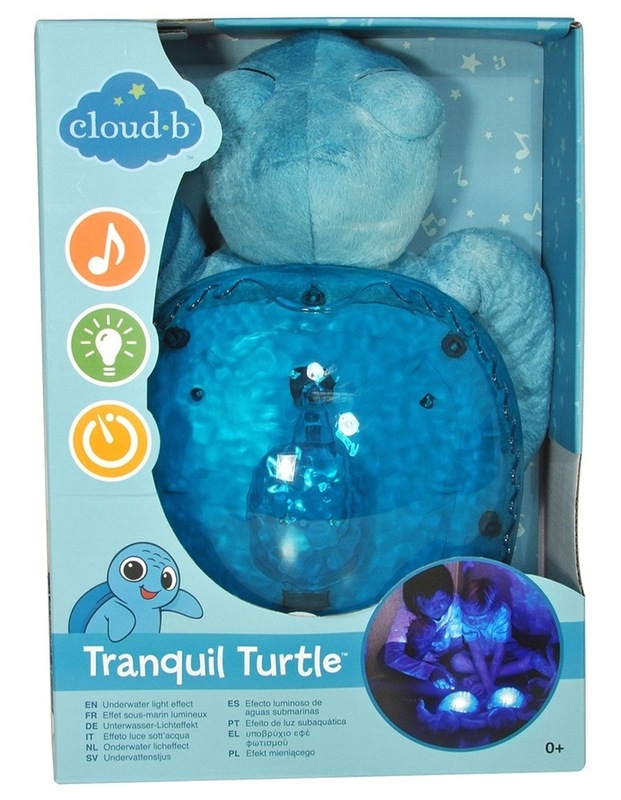 23 minute timer ensures complete darkness and silence during childs deep sleep. Choice of 2 melodies with 6 adjustable volume levels.